In case your skin looks sallow, dry or grey, you will need to exfoliate it. In fact, this is a process of removing dead skin cells from the skin and leaving fresh skin cells at the top. Then the skin feels smooth and much more radiant than it did before. However, exfoliating depends on your skin type. 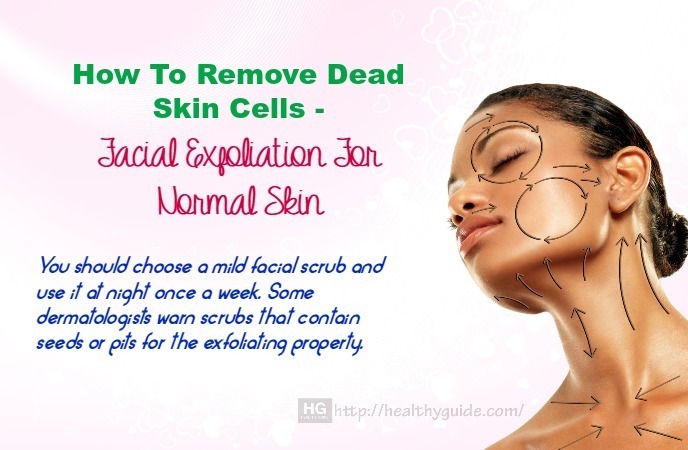 In this article, I will reveal best ways on how to remove dead skin cells at home. If you want to get more information about skin care facts, you should keep your head on the following ways and then try to follow one or more of these ways as soon as possible, especially if you want to exfoliate your skin at home. Pull the hair back: In case you have got long hair, you should pull all of the hair away from the face and keep it with a hair tie. Alternatively, you can use bangs to keep the hair back away from the face. Wet a clean rag or washcloth with hot water: You place this washcloth on the facial skin for 1-2 minutes in order to open your skin pores. Otherwise, you can take a hot shower first and then soak it in the steam for a couple of minutes. Use a face wash: After you open your skin pores up, gently wash the face with a facial cleanser. Remember not to scrub hard. Apply an exfoliating scrub: You use the exfoliating product to your clean, damp skin. Wet a clean washcloth or 2 fingers with lukewarm water. Gently rub this paste over your entirefacial skin in circular motions to get rid of dead skin cells. In case you are using an exfoliating sponge or brush, you should use light strokes for about half a minute. Do not exfoliate the skin if you have open wounds, cuts, sunburn or herpes outbreak. Rinse the skin off with warm water: You wash off all of the exfoliating paste with lukewarm water. Then, you splash it with cold water in order to close the pores. Pat the skin dry: You use a soft, clean towel to pat dry the skin. Never rub the skin as it may be a little more sensitive after exfoliation. Apply a moisturizer: After exfoliating, you should use a moisturizer with sunscreen to keep the skin’s smoothness, prevent from breaking out and protect the skin from UV rays. It may be easier for fresh skin to be harmed by the sunlight, so make sure that you wear sunscreen in case you need to be in the sun. Time your exfoliating process: In case you have oily skin, you can exfoliate daily without causing unwanted side effect. In case you have dry or sensitive skin, you should only exfoliate 1-2 times a week. In case your skin gets irritated or red, reduce the time you exfoliate your skin and consult your doctor. Identify whether you have normal skin, oily skin or dry skin before buying an exfoliating product. Oily skin is often greasy and shiny, whereas dry skin can feel flaky and itchy. Many people have both types of the skin in different skin areas and in this case, they should use exfoliating paste for normal skin or pastes for the skin type you have most of. If you want to exfoliate your skin outside your shower, you can consider using circular motions with a natural bristled brush. Actually, this brush is available in natural food stores and in the cosmetics stores. Start with your legs and then move up your body slowly. Always brush it in circular motions in a small body skin area before you move onto the next body skin areas. Work up toward the chest and then move onto the back and arms. Besides, you should consider buying a loofah or foliating gloves. These products can help you exfoliate the body skin in the shower. Choose an exfoliation scrub that has salt, sugar or other natural exfoliating properties. It should say “cleansing scrub” or “body scrub”. To exfoliate your skin, allow the warm water run over the skin for several minutes. Then, you rub the loofah or the exfoliating scrub over the damp skin in circular motions. Rinse it off. Repeat this process every 3-7 days, depending on the sensitivity of your skin. You should choose a mild cleanser that does not cause any skin irritation. This is because sensitive facial skin does not respond well to acidic cleansers or scrubs. If you have sensitive skin, you should use a product on a small facial skin area. You place a soft washcloth under warm water. Squeeze this washcloth and then place it on your facial skin for 1-2 minutes. Remember that warm water will help open the skin pores, making it easy to exfoliate. Take a small amount of mild cleanser on the washcloth’s surface. Rub this washcloth on your facial skin in circular motions. 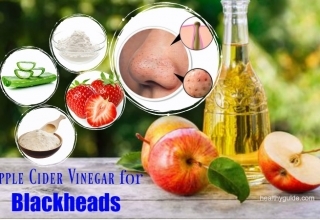 You need to start at your nose, then move to your forehead and go on with the rest of your facial skin. Then, you rinse it off with lukewarm water and then pat it dry. Finally, you apply a moisturizing cream after exfoliation. Remember that this exfoliating process may cause some redness, which will disappear within several hours. People who are easy to have redness should consider exfoliating at night, giving the skin enough time to calm down. If you own extremely dry skin, you should apply a thin cover of moisturizing oils about 5 minutes before you exfoliate. You use a scrub or skincare brush every night. Oily skin can need a gentle exfoliation every day. You can remove excess oil with the help of glycolic pads, which are available in drugstores. These pads help in removing acid and exfoliating with acids. Also, use a moisturizer and sunscreen after you use these pads. You should choose a mild facial scrub and use it at night once a week. Some dermatologists warn scrubs that contain seeds or pits for the exfoliating property. Instead, they recommend sugar or jojoba beads. You apply this scrub to the facial skin like the way you exfoliate your body skin. However, you should work gently in smaller circular motions. Consider buying a skincare brush and use it once a week with a mild cleansing soap. Also, carefully read directions before using it, and use this brush infrequently in case it causes skin redness. Plus, remember to apply moisturizer after exfoliating to reduce future redness, drying and dead skin cells. Honey will help you boost the process of natural exfoliation. Besides, it also has various qualities, which can keep moisture and lighten the skin, making it a good hydrating facial scrub. Firstly, you mix all of these ingredients in a bowl. You blend them to make a smooth paste. Allow it to sit on for about 5-10 minutes. Finally, you rinse the paste off with lukewarm water. 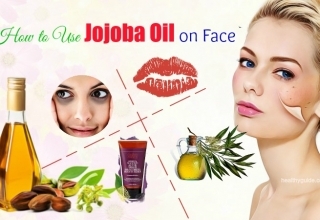 It is a mild ingredient, which can be used to remove dead skin cells. 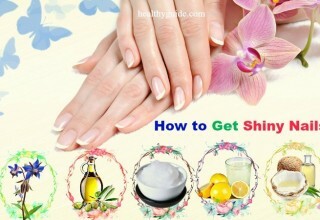 Besides, this is another cheap method on how to remove dead skin cells naturally that you should know. Firstly, you mix baking soda with enough water to make a mixture. You apply this paste onto your skin with the help of a washcloth. Gently massage your skin when scrubbing. Finally, you wash this paste off with water. 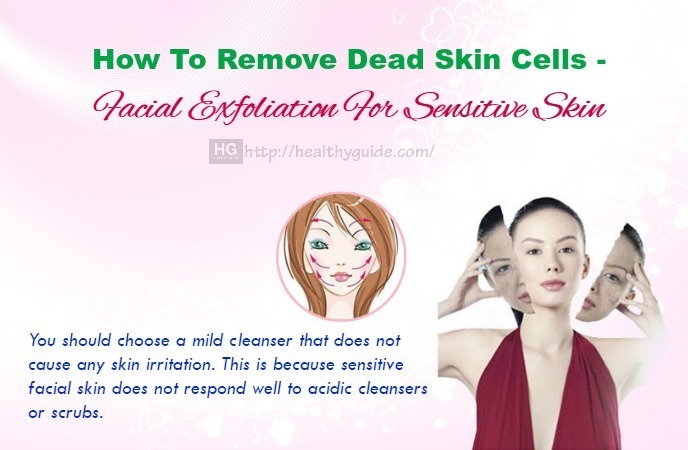 Actually, this is one of the most effective ways on how to remove dead skin cells at home that you should follow, especially if you are looking for the way to remove your dead skin cells at home. Lemon juice has alpha hydroxyl acid, which can remove protein glue that may stick dead skin cells to the epidermis. You add lemon juice, honey and ground oatmeal into a bowl. Massage it gently and allow it to sit on for at least 20 minutes. Repeat this process 1-2 times a week. 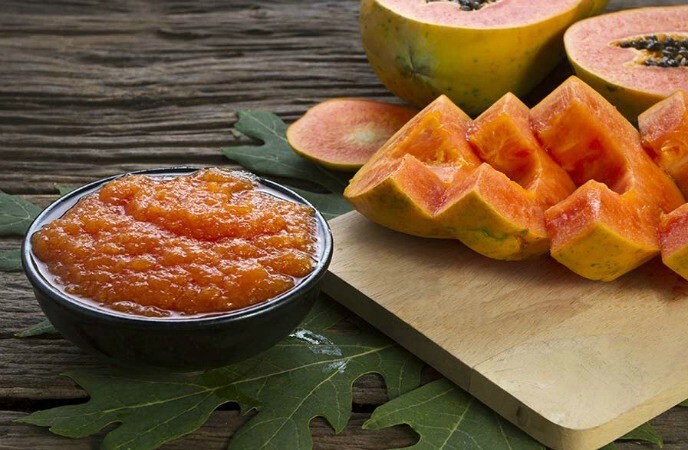 Papaya contains an enzyme called papain, which may help with your skin renewal. 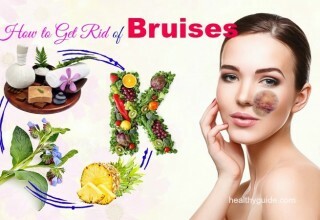 Besides, it can also help in removing dead skin cellsdue to its exfoliating properties. Firstly, you add mashed papaya as well as honey in a bowl. Then, mix these ingredients well to create a paste. You apply this paste onto the skin. Allow it to sit on for about 15-20 minutes. Finally, you rinse it off with lukewarm water. Repeat this exfoliating process 1-2 times a week. 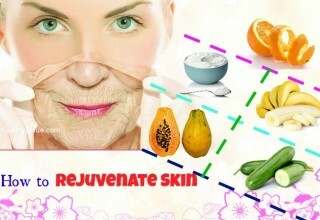 Alternatively, you can apply a small piece of papaya pulp onto the skin. Leave it on there for about 10 minutes. Then, you wash it off with clean water. This is one of the best ways on how to remove dead skin cells naturally that you should not skip out. Sea salt contains many minerals that can help boost cell growth, renew the skin and retain moisture. So, this scrub is a good way to remove dead skin cells naturally, especially if you have dry skin. Yogurt, which contains skin-soothing and smoothing properties can hydrate and exfoliate the skin. Besides, the lactic acid found in yogurt can also help even your skin tone. Allow it to sit on for about 10-20 minutes. Then, you rinse it off with clean water. 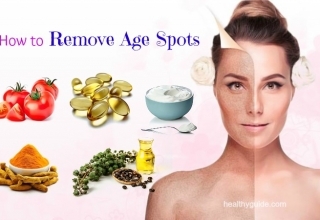 Actually, this is one of the most effective ways on how to remove dead skin cells naturally that you should make use if you want to get fair and beautiful skin at home..
As you know that yogurt is used to soften the skin and boost the radiance of the skin. Besides, it can also even your skin tone. Apart from yogurt, oatmeal has the properties to reduce your dead skin cells as well as absorb the toxics and dirt from the skin’s surface. Besides, oatmeal can help to deeply cleanse the surface of your skin. 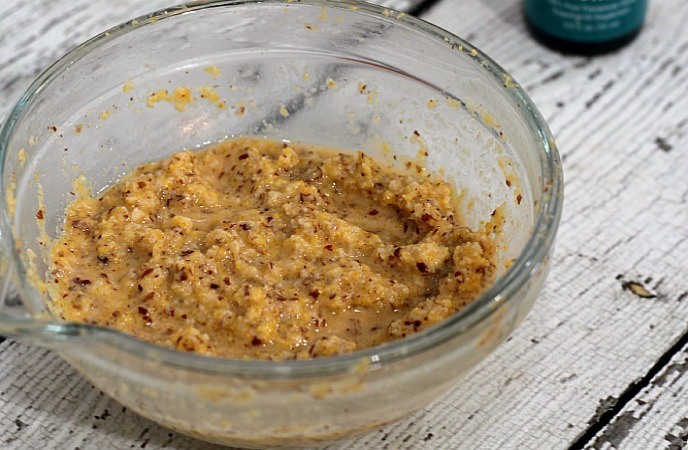 This homemade scrub is one of the most effective ways on how to remove dead skin cells at home that you should consider following. 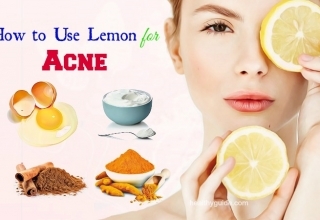 This way will help reduce the formation of acne and pimples. Firstly, you add both oatmeal and yogurt into a bowl. You mix both ingredients well to get a paste. Then, you apply it onto the skin. Allow it to sit on until the paste becomes dry. Finally, you gently rinse it off with warm water. This is another effective way on how to remove dead skin cells at home that a lot of people in the world have been making use for good. Firstly, you add yogurt and honey into a bowl. Leave it on there for about 15-20 minutes. Repeat this process about 1-2 times a week. Sugar contains glycolic acid, which can help remove your dead skin cells, speed up your new skin cell production and smooth and soften the skin. 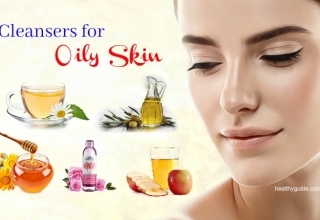 Do you want to discover other ways on how to remove dead skin cells at home? 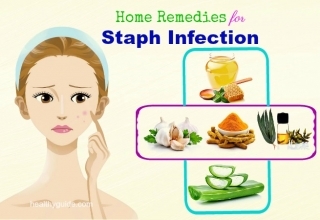 Continue reading this article and then follow at least a homemade scrub at home for good. Aside from being a good food source for reducing the cholesterol, oatmeal is also known as a natural scrub that has anti-inflammatory properties. Also, oatmeal works as a good moisturizer. Besides, it is mild enough not to damage the sensitive skin. 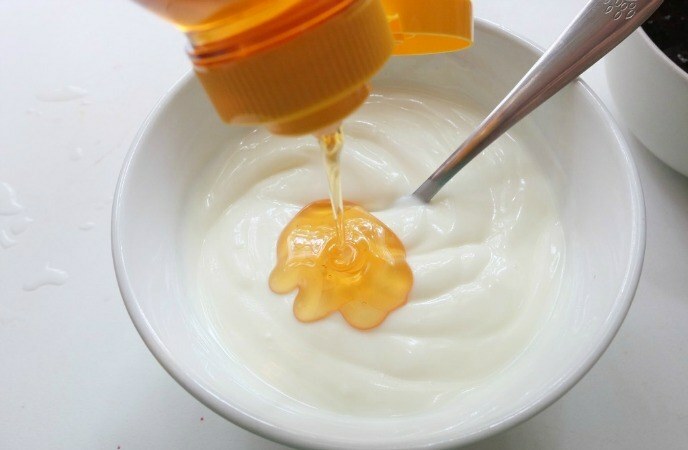 Then, mix it with honey and plain yogurt in a bowl to get a smooth paste. Finally, wash the paste off with lukewarm water. Another one of the best ways to remove dead skin cells naturally that you should know must include a mixture of sugar and water. Repeat this process until you get your desire. Finally, rinse the paste off with lukewarm water and then splash it with cold water to close skin pores. After removing the exfoliating scrub from your skin, gently pat the skin dry using a soft towel. Another one on the list of best ways to remove dead skin cells at home that you should not skip out must include yogurt and oatmeal scrub. Apply it onto the skin where you want to exfoliate. Finally, rinse it off with clean water. Another best ways to remove dead skin cells at home that you should know must include a mixture of lemon juice and sugar. You take out the lemon juice and keep it aside. You place this mixture in your palm and use your fingers to gently massage the skin in circular motions. Allow it to rest on for about 15 minutes. In fact, this way actually helps you exfoliate skin effectively, so you need to follow this home remedy as soon as possible. Coffee is another effective way to remove dead skin cells at home that you should not skip out. 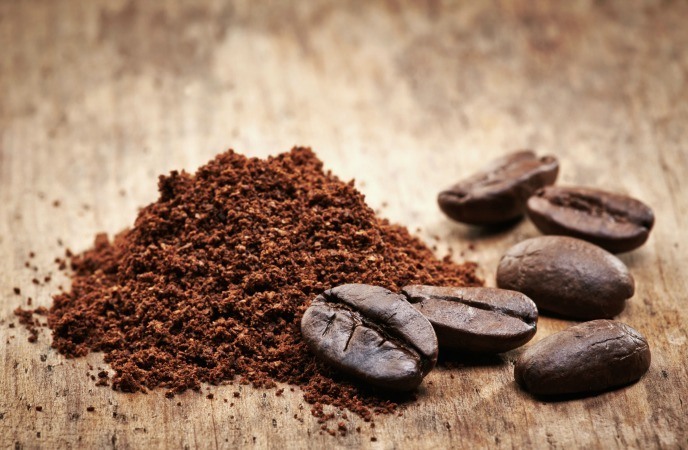 Besides, caffeic acid found in coffee contains anti-inflammatory properties can help you increase the production of collagen, leaving the skin smooth and healthy. Finally, you rinse it off with clean water. 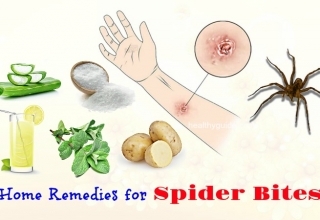 In fact, this is known as one of best ways to remove dead skin cells at home that you should not skip out, but try to do this process as soon as possible. Firstly, you steam the skin for about 20-30 minutes in order to open the skin pores. Mix the coffee powder and honey to get a thick paste. Apply this paste onto the skin and gently massage in circular motions. Mix it with sugar and honey to make a paste. Leave it to sit on for about 15-20 minutes. There are some of the other ways to remove dead skin cells at home in this article. So you should go on reading this entire article to discover all of these ways and then consider following them as soon as possible. Apply it onto the skin and gently rub it. You add turmeric powder, gram flour and milk into a large bowl. The astringent found in tomatoes contains an acid composition that can help you prevent excess oil on the skin and balance out the skin’s pH levels. Additionally, the combination of tomatoes, gram flour and lemon juice is another method on how to remove dead skin cells at home. Then, you rub this paste on the skin and leave it on for 20-30 minutes. Milk contains alpha-hydroxy acids that can help remove the dead skin cells and oter impurities on the skin. Eggs can help you remove dead skin cells and oils that remain on the skin pores to provide you with a fair skin. 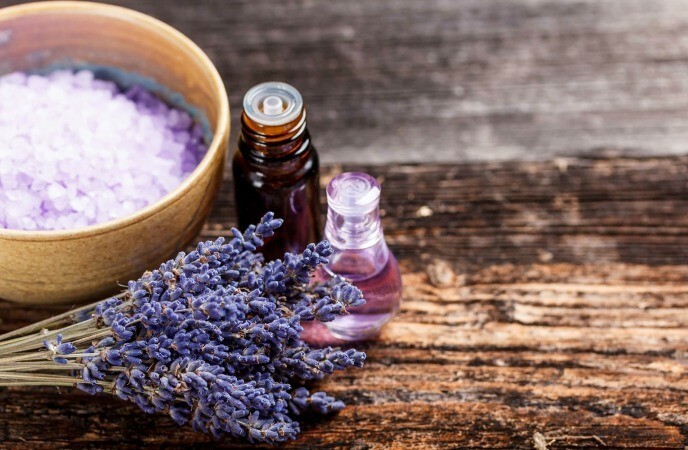 Plus, lavender oil can help you cleanse the skin. Finally, wash the consistency off with cool water. In fact, this natural scrub is another one of the most effective ways on how to remove dead skin cells that you should know and then try to make use of it to help even your skin tone as soon as possible. Actually, this is one of the best ways on how to remove dead skin cells at home that you should not look down, but try to use it as soon as possible, especially if you are trying to exfoliate skin at home. The oats can exfoliate the skin and remove dead and dry skin cells, so this way is proper for dry skin. It has a compound that can help remove dead skin cells and lighten the skin. Then, take a bath to rinse it off. In fact, this is one on the list of ways on how to remove dead skin cells at home, so you should consider following this home remedy to get fair and beautiful skin as soon as possible. You mix baking soda and oatmeal. Finally, pat it dry and enjoy a beautiful skin. 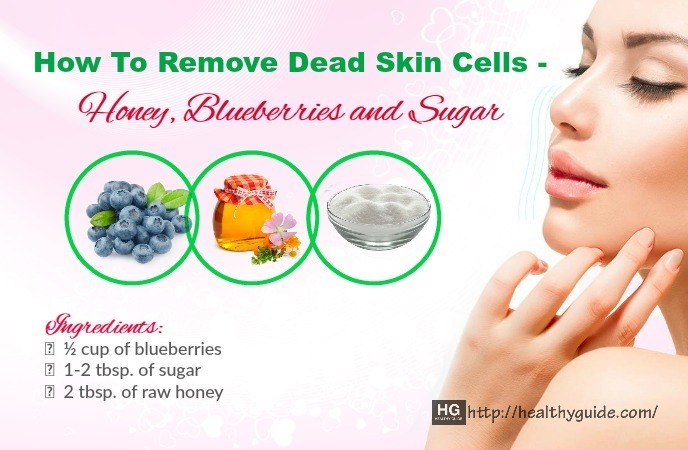 By following these ways on how to remove dead skin cells at home as I mentioned above, you will experience more beautiful skin soon. 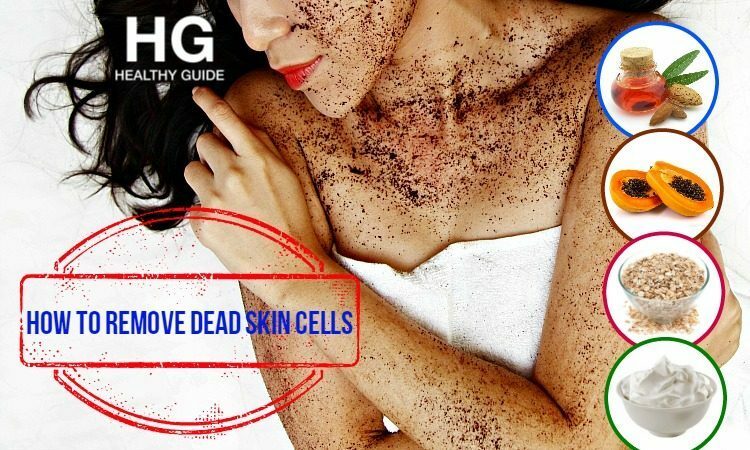 After you spend time reading this article of 32 best ways on how to remove dead skin cells at home, I hope that the readers of Healthy Guide will know how to remove dead skin cells and then follow one or more of these effective ways as soon as possible. These home remedies are tested by many people in the world without causing unwanted side effects, so you do not need to worry if you want to follow any of them. If you know other effective ways on how to remove dead skin cells at home, leave your comments in the comment box below.